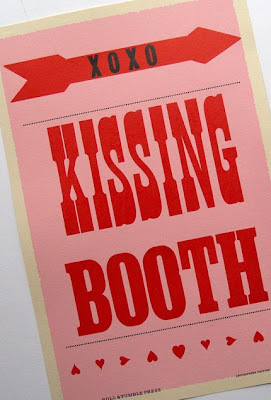 Tangled and True: kissing booth. I really like this poster. Perfect Valentine decor. Oh, that is a cute decoration.